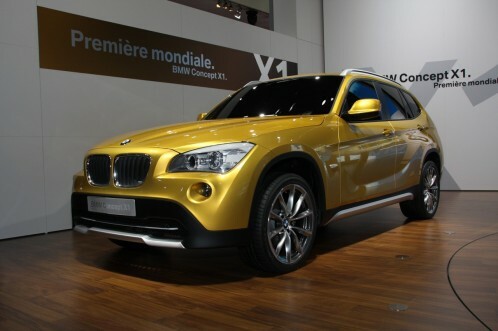 It looks like the debut of BMW X1 will take place at the Frankfurt Motor and production will start in October 2009. This car will be produced in Leipzig, while BMW estimates that in 2010 to manufacture approximately 50,000 units. I’m sure that BMW X1 will be a success for the BMW Company. The length of this car is 4.5 m which seems to me a very good length. As for design, personally I like it very much, the lines give a sport impression and elegance at the same time. I think a lot of people that owns a BMW 1 Series car and wants to buy another car and SUV necessarily, certainly choose BMW X1.